do you cook the head? hows does it work? Yes, you need to boil the head at length before you cook it. That ensures that it is completely sanitized. I think my wife boils it for 4 hours with some seasoning and then bakes it. There is not much meat on it. The toungue is like cow tongue. What's the halacha? Are we obligated to put some kind of a head on the table? Does the halacha say that one kind of head is preferable to another? I heard once that an Ashkenazi girl who was engaged to a Sephardi boy broke off the engagement after seeing Rosh Keves on the boy's parents' table on Rosh Hashana night. I am not a Rav but it seems that there is no chiyuv to put any kind of head on the table. It is a minhag yisroel. the ikkar is a person's kavana and to act like a Rosh and not a zanav. a gut yur. If my wife would have seen this post before we were married, (ie before she was stuck with me) I don't know if she would have agreed!. Now, since she had a few years to acclimated to my stick, she even cooks it for me. Thank you Michoel. Kol Hakavod to your Rebbetsin! "So far I am not certain that my tikkun yuck is actually accomplishing what I intended. My kids seem more or less on the same level in these inyanim as their friends. I am not even sure that it is accomplishing what I want in myself and my wife. But one thing I do know for sure. It’s geshmack." This is the best paragraph ever. Minhag chabad is to only say the yehi ratzon on the tapuach. Pomegranate and a head were also present on the table of the Rebbe - though I can't recall if it was fish or rams head. While chesed is a basic value in Judaism, there is no commandment to be a tough guy and not a wimp. Meat is permitted, but it is not required, and if the sight of animal blood or heads makes someone squeamish, especially if it's out of compassion for the animal, then I'm not so sure that's a bad thing. I assume that the reason meat will not be consumed in the Messianic age is that people will be on a higher level of chesed and overall morality, so why wouldn't such impulses be praiseworthy now? Of course, people need to understand that it's not inherently wrong to kill animals, since it's permitted to do so humanely according to Torah law. But children naturally are sensitive and love animals, and when they get older they will understand. I agree with you that people should not be afraid of real, physical, dirty work. But this does not mean that children need to be comfortable with an animal head on their dinner table. I would prefer teaching my kids how to garden, fix their bikes, or even defend themselves with krav maga. Seriously, and this is not meant as a criticism, but this post should come with a glossary! Not all of ASJ's readers are fluent in Hebrew and Yiddish. What do you mean by "all the other nicey-nice wacky hashkafos that leak into the frum community"? Can you give some examples? Word verification word: sntive! (spells sensitive, with three letters removed). You make some good points. I really was intending the post to be a bit toung in cheek and light, and was not aiming to start a overly deep discussion. But since you raised some valid questions, I would like to breifly address them. Please do not take offense, especially right before Rosh Hashana. "While chesed is a basic value in Judaism, there is no commandment to be a tough guy and not a wimp." There is a mitzvah of v'halachta b'drachav. And while the simple and common understanding is "ma hu rachum, af ata t'hey rachum etc" it also means that we should follow ALL of Hashem's middos (kaviyochal). That means Oz (Boldness), and Emes (truth), and G'vora (strength) and Din (Justice). There is a mitzvah in the Torah of "biarta hara mikirbecha" ie killing a person that saduces others to idol worship. Actual killing! And the mitzvah is to do it on the Regel so the most possible people can see it and gain yiras shamayim from the sight of a sinner being killed. I agree with you that sensitivity is a very positive thing. But I feel there needs to be a bit more balance. You mention that in the times of Moshiach there will not be consumption of meat. I know Rav Kook rights about this but I don't think it is muscam (agreed upon) by everyone. We declare by the seder every year with great feeling "v'sham nochal min hazvachim on min haP'sachim" ie we can't wait until the beis hamikdosh is rebuilt so we can eat korbanos. Amol, the sight of slaughtered animals, blood, severed parts etc, was routine. And going to the beis hamikdosh to see the avodah was the hight of inspiration. A gut yur to everyone and we should all find the inspiration that speaks to us and helps us to fix what we each need to fix. An example of a hashkafah that I would say has seeped in is a degrading of the idea of "Am Segulah" (Klal Yisroel being the Chosen Nation) and the appropriate pride in Jews, Judaism and historic Jewish hanhaga (conduct). Thanks for your replies, Michoel. I definitely see what you're saying, and thanks for your points on v'halachta b'drachav and the sight of the sacrifices. You're right that there are many commandments to kill people for certain transgressions, but I'm not sure whether such commandments were ever carried out (and I would assume they can't be today), since with all the halachic requirements to carry out the death penalty, it's almost impossible to do so. On the Rav Kook issue, as noted by a commenter on an earlier thread, Rabbi Tzvi Israel Tau explained that "There will be two stages within the messianic age, and Rav Kook taught that in the first stage, the animal offerings will be renewed, but in the second stage, the offerings will be vegetarian." Perhaps the same thing applies to meat consumption. Thanks for your post, and Shanah Tovah! Its not a mizva to shecht animals. If you are on amedrega to eat animals you can do so. 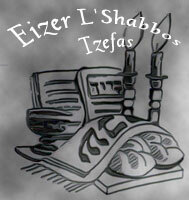 The Tora permits us to eat meat, I fail to see a Mitzva eseh to eat it. It may be recommended to eat meat on Yonyev and Shabbes but if your simcha is eating a veggie burger thats fine too. 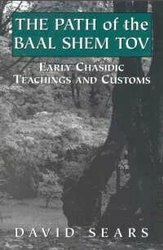 Shochetim in Chassidic literature get a mixed review. The Belzer rov once pointed to ravens on the roof of the shul in Belz and said those are shochetim in their previous lives.There are many even worse stories in Divre yemei HaChassidim about shochetim and their tempers and their need to control their true anger by channeling it into a Tora manner of killing. There is no Mitzva to be a veggie either. There is a mitzva to observe the Tore and eat kosher meat. Many chashuve Yidden ate little or no meat like the Nazir, The RAZAH of lubavitch, Rav Isaac Kaduri, Kaminetzer maggid and many others. I agree with you. The ikkar is balance. People can have different legitimate understandings of where the balance lies. Rav Eliezer Yudel Finkel also ate no meat after the churban Europe. But I don't think they did it because of "animal rights". Mistama it was a sensitivity in their hanhaga about k'dusha and prishus. The message from this is that it is extremely important that slaughterers be worthy. Interestingly, in the increasingly widespread "locavore" movement in the U.S., there is a great emphasis on getting to know the people you buy your food from, so you know things were done ecologically and humanely. Maybe we need something analogous for slaughterers, to make sure we're only getting meat from slaughterers who are really elevating the souls of the animals. Of course, when you can't be sure, vegetarianism would seem a reasonable response. Mottel's point is really what I am trying to drive at. But I need to state something publicly. I showed this article to a chashuveh yid I know, a chasidish yid and a talmid chacham who also happens to have a rosh keves and does lots of simanim with hislavus. He told me an important insight. The kavana should be that is a minhag Yisroel mentioned in Shas, so we do it. M'meilah the kids see that we are not ashamed to do even something that others might perceive as "gross" if that is what the mitzvah or minhag requires. But it should not be done with an "over-kavana", which could come across as put on or gaavah. 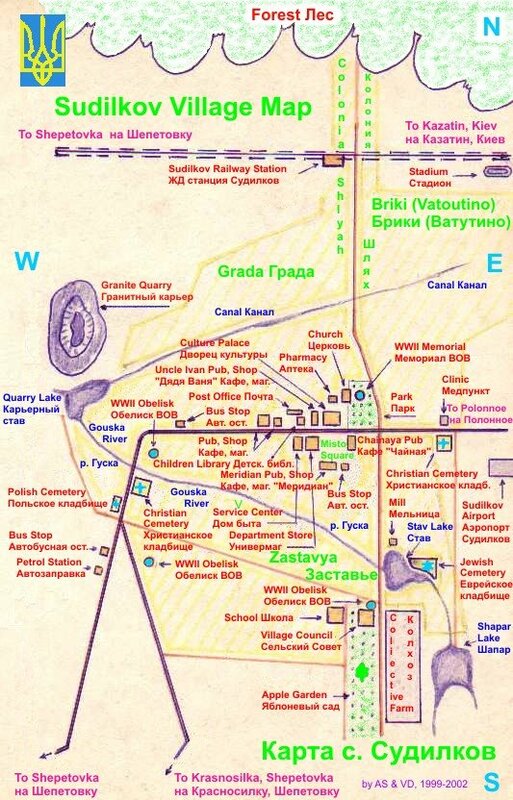 4)to model hislahavus for even the simple things in Yiddishkeit. (This is, after all, a giant means for getting into our bones the Emuna that H' has providence over EVERYthing). To all this I would add a fifth point. You can sidestep any worry of over-kavana-ing by REALLY MEANING the Yehi Ratzons. Really believe that these words and the spirit you imbue them with are drawing down brochas for the entire year. If we can get to that deeply simple place, how can we NOT say them with an infectious joy that will undoubtedly affect the kids? Levav'cha v'es levav zarei'cha = convey that word in such a heartfelt way that it reaches your progeny!! Hysterical! 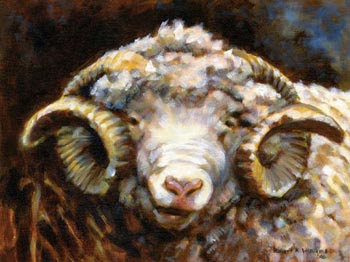 A well-known Sephardic Rav lives downstairs from us, and every year I have the pleasure of smelling the singed hairs of the ram's head as his Rabbanit prepares it. Not my minhag, but let the Jewish people in all its beautiful variety shine on!